Chicago-based think tank Paulson Institute and China's Tsinghua University jointly announced the launch of the sixth Paulson Prize for Sustainability (The Paulson Prize) in Beijing on March 21, 2019. The Paulson Prize, initiated in 2013, is awarded annually to a project in China that represents an innovative, scalable, and market-based solution at the intersection of economics and the environment. NGOs, local governments, businesses, and research institutions in China are encouraged to nominate a project. "Since 2013, we have highlighted creative approaches which can serve as models throughout China, and potentially the rest of the world. From new models of recycling, to better energy efficiencies, to cleaner air and water, we have sought to reward and recognize some of the most innovative sustainability projects in China today," said Paulson Institute Chairman Henry M. Paulson, Jr. The approach the Paulson Institute takes is in line with the Chinese government's overall sustainability plan. In the last few years, China has emphasized sustainable development and is working to incorporate ecological protection into every facet of social, political, economic, and cultural development. While presenting the government work report this year, Chinese Premier Li Keqiang once again emphasized the importance of sustainable development, saying that "promoting green development is down to every last one of us; its success hinges on action and commitment. We must all work together to create a beautiful and livable environment for our people." According to Jerry Yu, chief representative of Paulson Institute's China Office and Managing Director of the institute, the prize aims to demonstrate that economic development and environment protection are compatible and can coexist like two sides of a coin. "As humanity faces greater environmental challenges, such as climate change and resource depletion, China's experience and its innovative solutions can be used as potential models in other parts of the world," Yu said at the launch of the Paulson Prize. "I am very pleased to launch the 6th Paulson Prize for Sustainability. I hope the Paulson Institute and Tsinghua University can help promote sustainable development worldwide by jointly rewarding innovative sustainability practices in China," said Chen Xu, chair of the Tsinghua University Council. 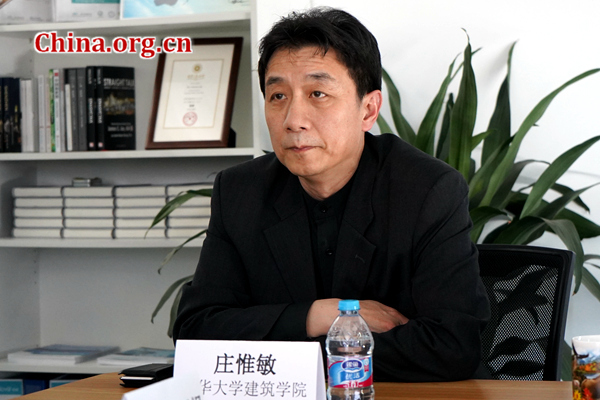 Zhuang Weimin, the Dean of Tsinghua University's School of Architecture, said the prize is highly pragmatic and reflects the key areas and major concerns of China during its development. "The prize shows the attitude that China has, as a rapidly developing country, towards the environment, natural resources, human society and the world," Zhuang said. 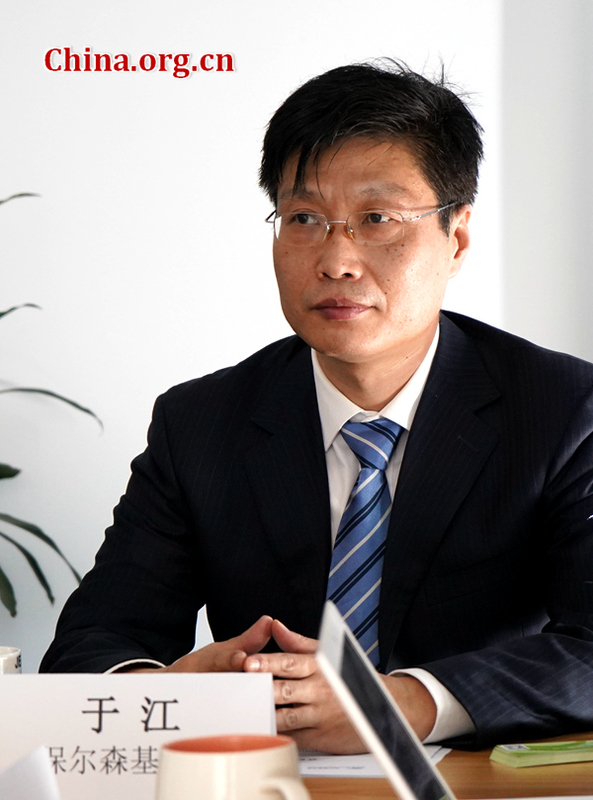 Zhuang is also one of the evaluation commission members of the Paulson Prize. According to the Paulson Institute, the sixth Paulson Prize will focus on projects dealing with the urban environment, circular economy, natural capital, as well as other projects that contribute to the balance between economic development and environmental protection. Some of the these projects include the promotion of rural-urban integration, green agriculture, rural energy transformation, and cultural heritage preservation. The winner of the Paulson Prize is evaluated and selected by an independent jury committee composed of prominent American and Chinese leaders in the fields of economics, finance, energy, and ecology. The jury committee will evaluate submissions against the award's criteria in the following five areas: environmental impact, creativity, financing mechanism, scalability, and social co-benefits. The jury will then visit and inspect the finalist projects and ultimately select the winning project. "Each year, the jury looks most favorably on innovative projects that result in tangible environmental benefits, can be replicated or scaled, and which ideally involve collaboration across sectors, such as a partnership between government, business, academia and/or NGOs," said former Chicago Mayor Richard M. Daley, who has served as Jury Committee Chairman since the Paulson Prize was launched. Since 2013, the Paulson Prize has been awarded to five projects in China: Nanhu District Village Project in Jiaxing, Zhejiang (2013); International Low-Carbon City Project in Shenzhen (2014); Beijing Anheng Group's Sustainable City Water Supply Network Leakage Control Solution Project (2015); Beijing Goldenway Bio-tech (BGB) Company's Organic Waste Recycling and Farmland Quality Improvement Project in Chengdu (2017); and Danfer China Green Technology's Castor-Based Green Lubricating Oil Project in Jinhua, Zhejiang (2018). The nomination deadline for the sixth Paulson Prize is on May 17, 2019. The application form can be downloaded from the Paulson Institute website at paulsoninstitute.org/Prize. Any questions regarding the Prize can be directed to prize@paulsoninstitute.org. ​Paulson Institute and Tsinghua University jointly announced the launch of the sixth Paulson Prize for Sustainability (The Paulson Prize) in Beijing on March 21, 2019.